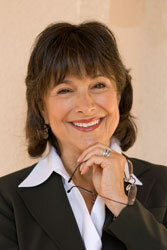 In her workshop on Sunday, April 28, 2019 at the CP Cal Celebration XIV in beautiful San Diego, clinical psychologist, Collaborative Divorce coach and former nester Ann Buscho, Ph.D. will walk you through the necessary steps to guide parents in creating a safe and secure home, or nest, for their children. Preserving a secure sense of family while the couple figures out next steps is the goal. Buscho not only has three decades of experience coaching dozens of families through the nesting process, but she and her ex-husband also nested in the early 1990s, long before it was widely practiced. The new trend of “nesting” or “bird nesting” is a transitional, or temporary, arrangement where the children stay in the family home while the parents rotate on- and off-duty by agreement on a prearranged schedule. In addition to the schedule, a nesting plan will include agreements about the care of the house, finances, communication, parenting, and dating. The period of nesting might be short term or many months or longer, and it will help parents establish a secure foundation of support for their children and for the family during the tumultuous time of separation or divorce. Nesting participants also learn and develop important new skills that they will need in their roles as co-parents and while “solo parenting” when on duty. This workshop will provide useful tools to help professionals understand nesting and to help them decide if nesting is right for the family. Additionally, Buscho will introduce the necessary steps for successful nesting: creating a budget, a nesting plan, a parenting agreement, and more. This workshop is appropriate for attorneys, mediators, therapists, and anyone interested in the welfare of their clients. Come join us in beautiful San Diego! Register for Celebration XIV today!